Do you want to give your child a bright and fun Easter basket, but you're afraid of what sugar will do to your little hyperactive one? Other reasons to avoid the typical Easter candy are that you're avoiding colors and preservatives, your child has diabetes. or you can't take a chance with food allergies. Of course, maybe you just want an excuse to shop in some sensory integration catalogs. Forget sweets. 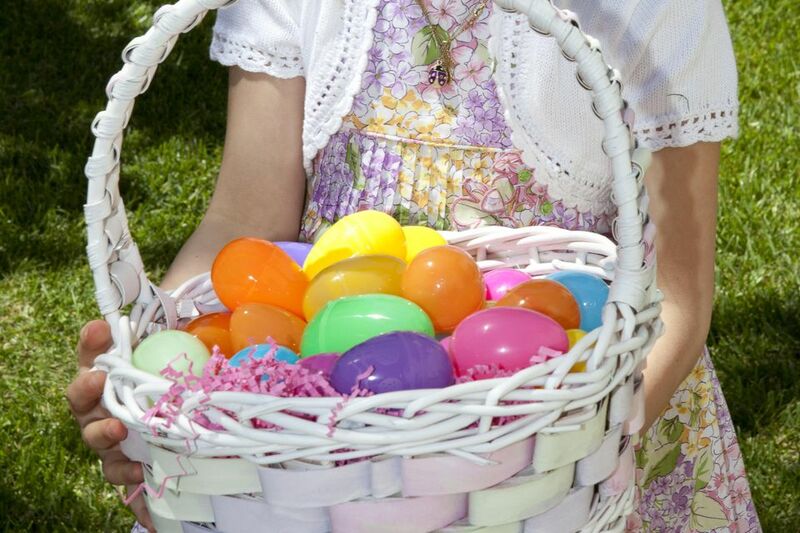 Buy a bunch of colorful plastic eggs, and fill them with a variety of these non-edible treats for a basket of fun your child will still be enjoying long after most kids have gobbled all that bad candy down. You can mix or match this list. With some of these ideas, a quick trip to the dollar store will net you plenty of egg fillers. Or, you can use the opportunity to clean out your supply of small items in your junk drawer. Money: This is an easy go-to idea. You can vary the coins and bills you put into the eggs and make it a real adventure and surprise. Children can then practice counting and totaling the money. Fun coupons: Make redeemable coupons your kids can use to get extra screen time, a day off from chores and other rewards. Confetti: This is kind of the booby prize, and might be fun to include for older kids. You can find lots of these items at the dollar store or variety store. When you are filling the Easter eggs, keep in mind the ages of the children who will be hunting for them. The suggested items are small and they will be a choking hazard for younger children. Any toys you use to fill the eggs should be appropriate for the age range of the children who are likely to find the eggs. This may be especially a concern if you use a mix of candy in some eggs and small items in other eggs. It may be wise to tape the eggs securely and then only open them after they have all been gathered. That way, you can have more fun opening the eggs and examining the treasures while keeping them out of the mouths of the smaller children.